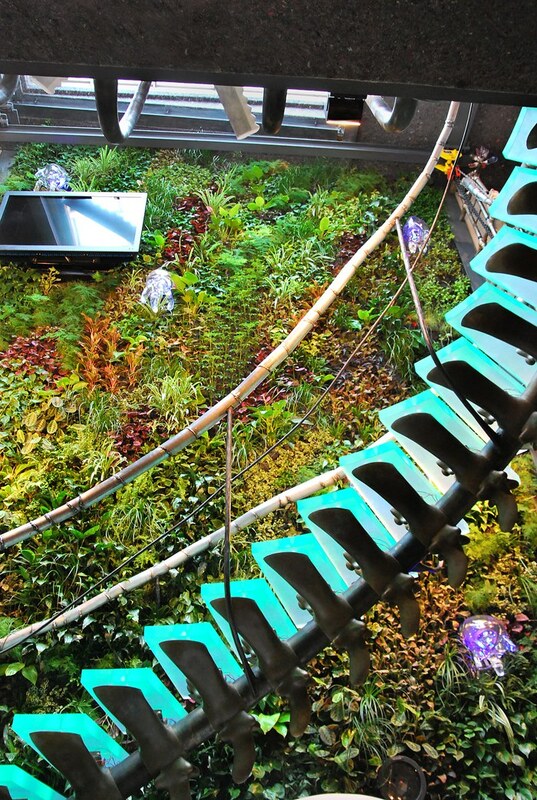 Vertical Gardens are growing in Manhattan by Plantwall design! I met Marie- Christing Steffanetti of plantwall design at Wanted Design NYC and my eyes googled at the spectacular vertical green display. I had to learn more and see some of her other green creations...She later shared with me her gorgeous two-story garden creation in a West Village apartment building. Two-thousand plants with approximately 25 different plant species create a kaleidoscope of color! 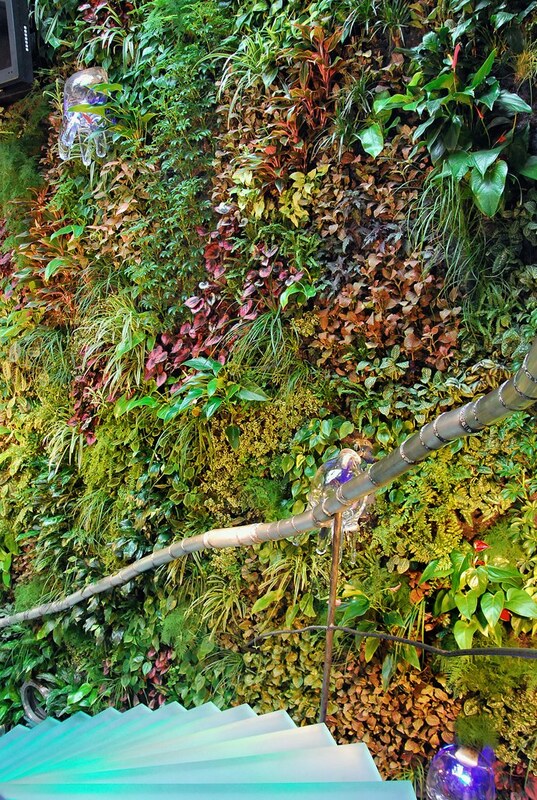 A vertical garden is easy to build and request low maintenance according to Marie. 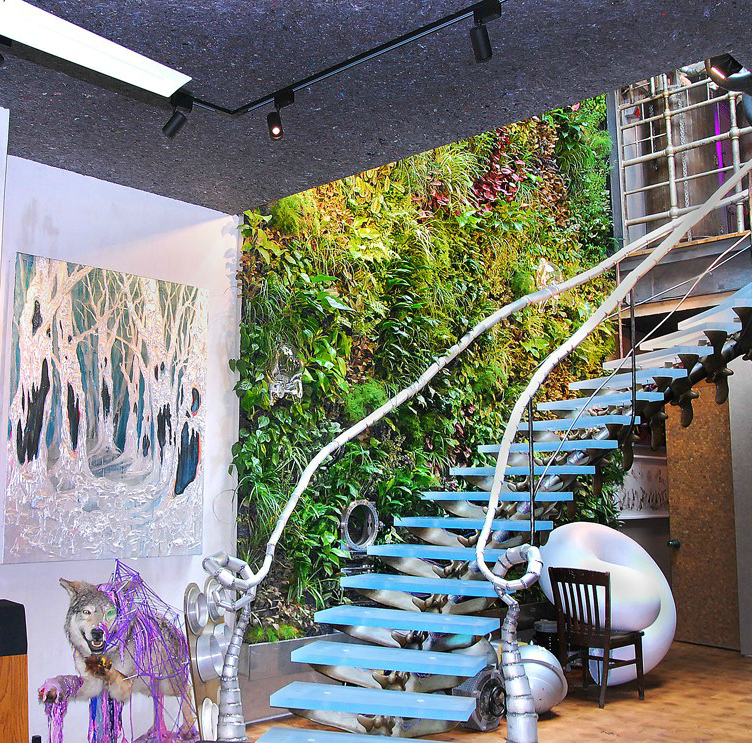 Their patented invention consists of a hydroponic system that nurtures live plants specially positioned on a vertical wall. Different variety of plants are able to be nourished and watered with an integrated customized automatic irrigation system. Amazing how the plants stay in place....they are securely hooked onto a designed fabric filled with pockets of soil. Each positioned plant is like a brush-stroke to a painter. Its living, growing art!